I got this recipe a few years ago from my mother, of course, it required small changes so my kids could eat this – the dish does not contain eggs or milk. 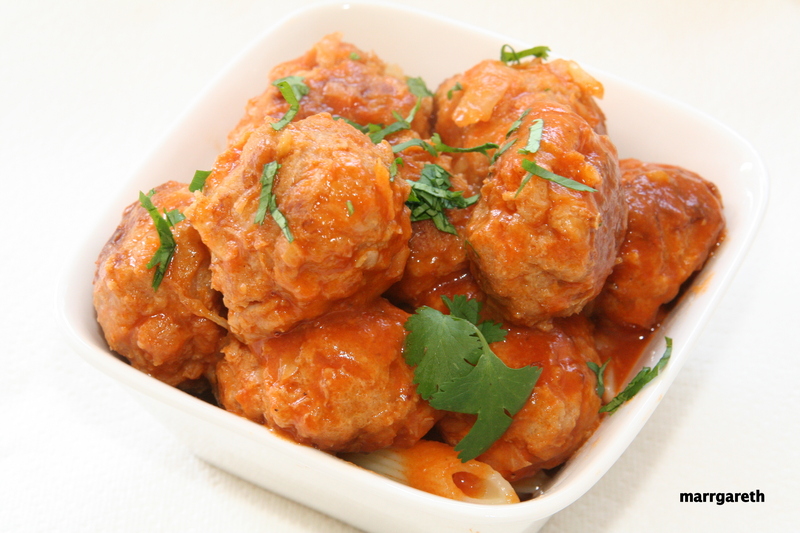 I recommend cabbage meatballs to every family with allergies or without them. 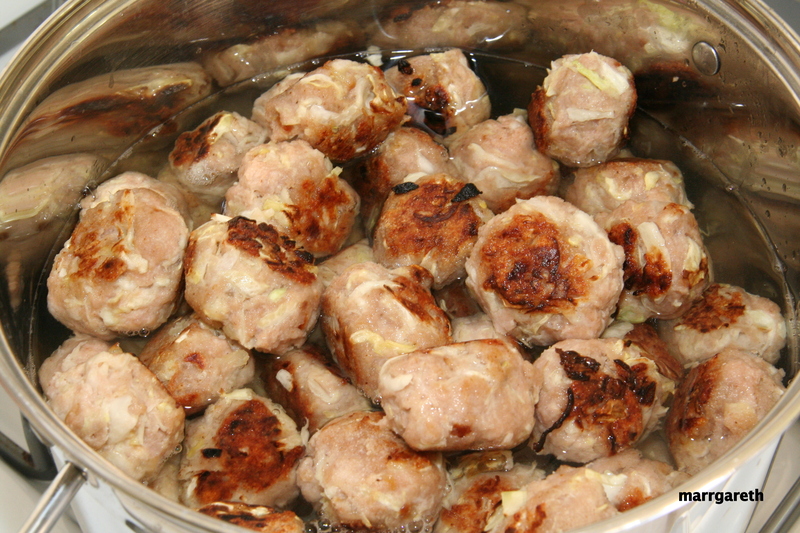 You can serve cabbage meatballs for dinner with pasta, rice or potatoes or with bread for lunch. Cut the cabbage into quarters, then cut it in to small strips. 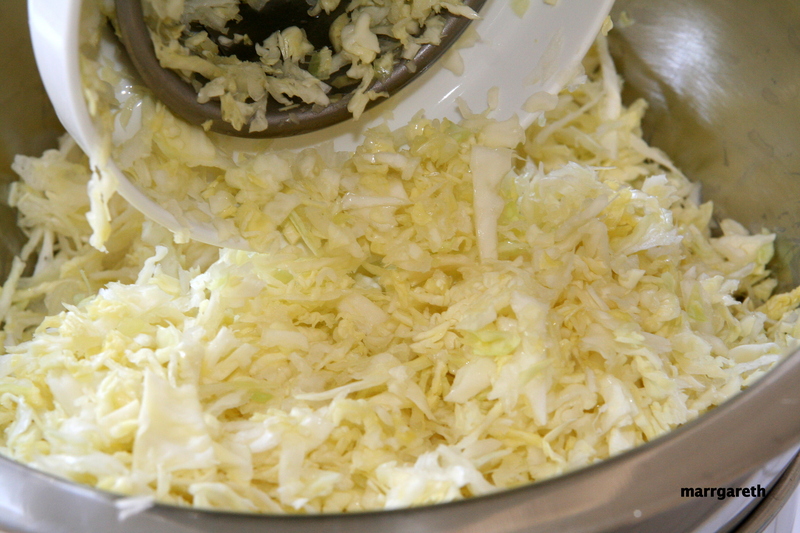 I cut the cabbage using electric shredder with thick slicer. If you are planning to shred the cabbage with a knife, cut it into very thin strips to facilitate forming of balls. Sprinkle the shredded cabbage with 1 tsp of salt, the salt will make the cabbage soft, so the balls will form easily. Mix the cabbage and set aside. Chop the onion well then fry it on a large pan with a little oil till golden. 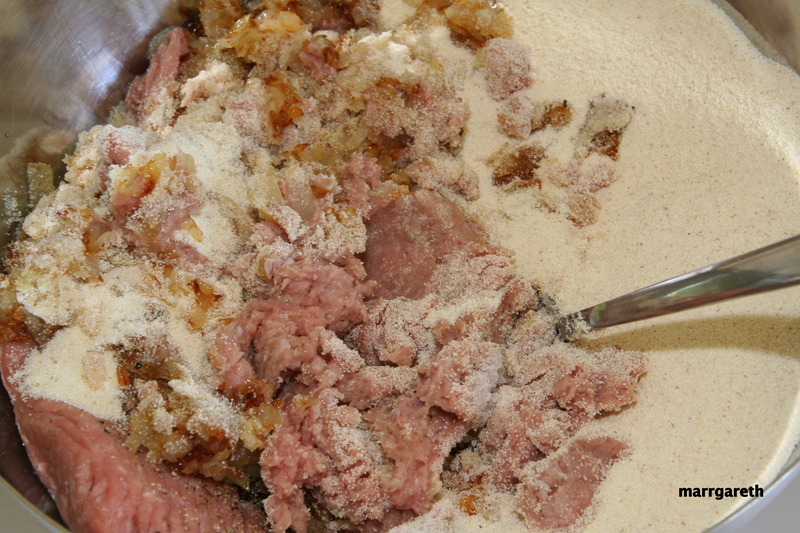 Put the minced meat into a large bowl, add semolina, a 1 tsp of salt and pepper. Add the cabbage and golden onion. Mix all thoroughly by hand or using a large wooden spoon. Start forming the balls about the size of small tangerines. Heat the pan with an oil and fry balls on both sides until golden brown. You should use a big pan or two medium ones, then frying will go smoothly and quickly. 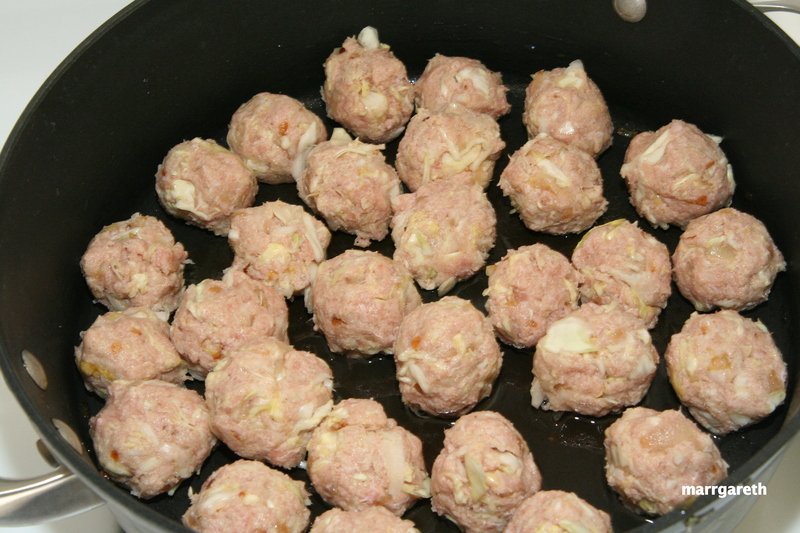 Put the fried balls into a large pot. Pour cold water so the balls will be almost covered (look on the picture below). 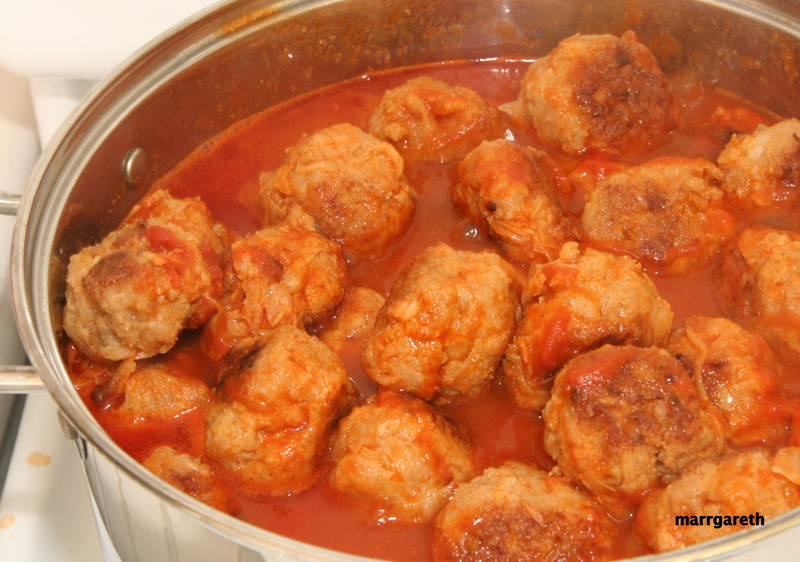 Add the tomato paste to the pot with balls and water. Cook gently, stirring occasionally, for 20 – 30 minutes. Add more water if necessary, we want to have plenty of sauce. 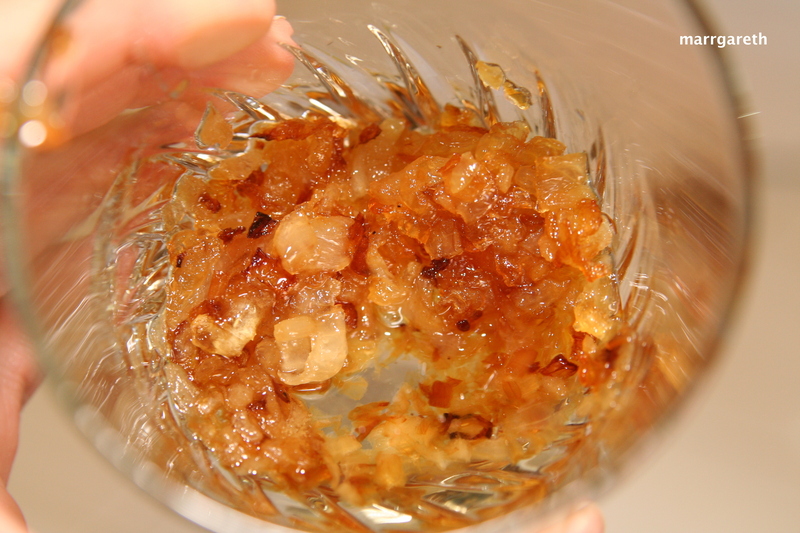 Season the sauce with some salt and pepper to taste at the end of cooking. wow this recipe looks delicious! Bardzo fajne i smaczne danie. Zniknęło w sekundzie ze stołu! Bardzo mi miło, że komuś smakują moje propozycje. Dziękuję za miłe słowa i czekam na następne opinie. Pozdrawiam! Reblogged this on Justin Lynch Diary.